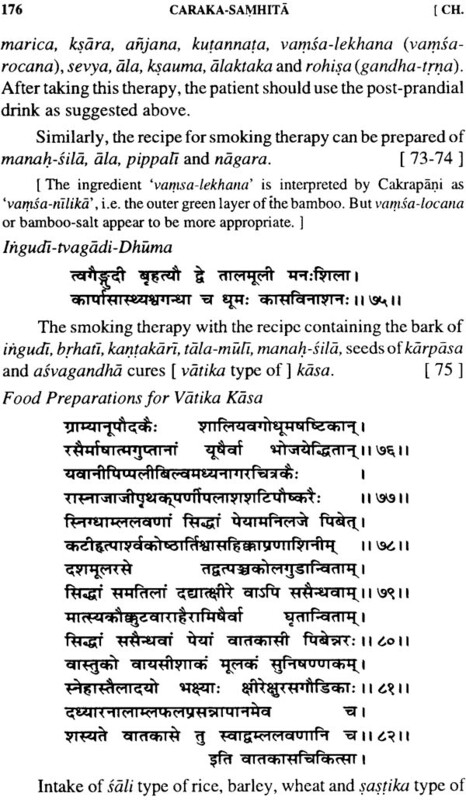 The Caraka Samhita stands at the top of the ancient texts representing the School of Medicine in Ayurveda founded by the great Scholar-Sage Punarvasu Atreya. 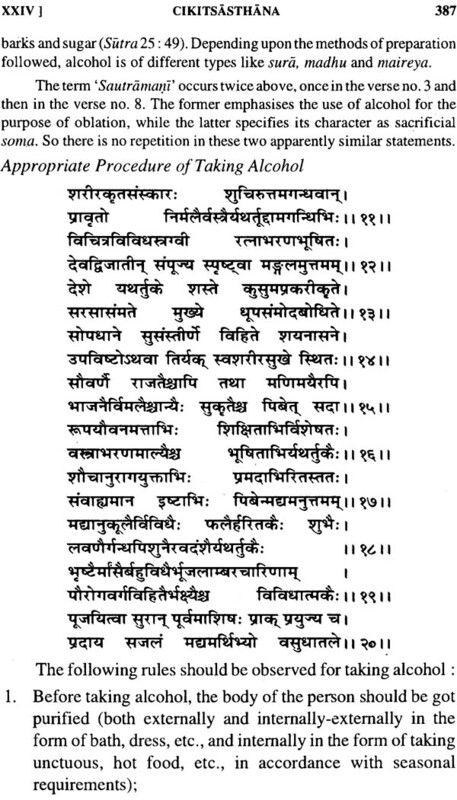 Its value is further enhanced by the fact that it is the only text available in complete form where-as other contemporary Samhitas such as of Jatukarna, temporary Samhitas such as of Jatukarna, Parasara etc. 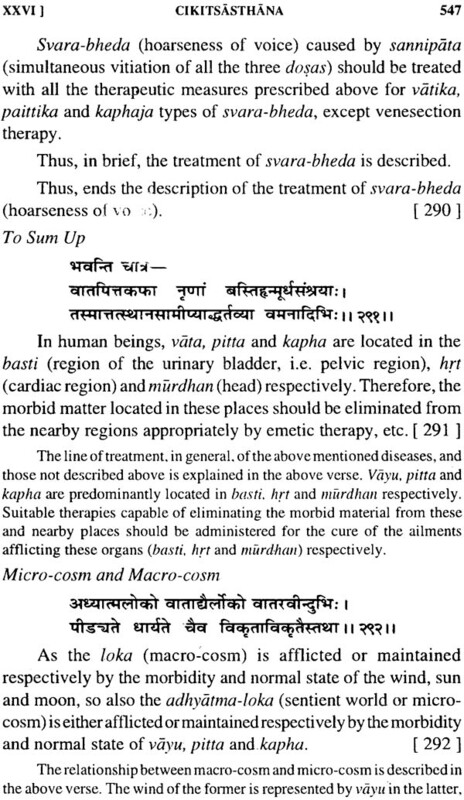 perished, that of Bhela is incomplete and that of Harita is dragged into controversy. 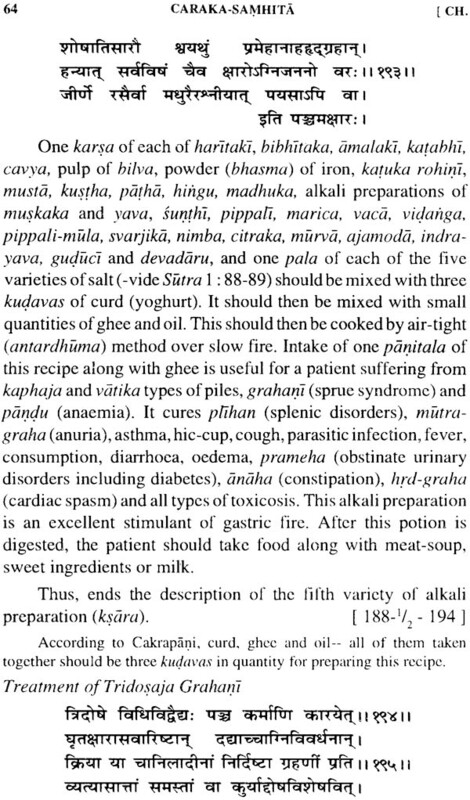 Thus any scholar desirous to know about the fundamentals of Ayurveda and its approach to life, health and disease has essentially to take resort to the study of this text unique in depth and divergence. It is rightly said, "whatever is not here can not be found anywhere else." Historically too, it is quite interesting, Like an archaeological edifice. 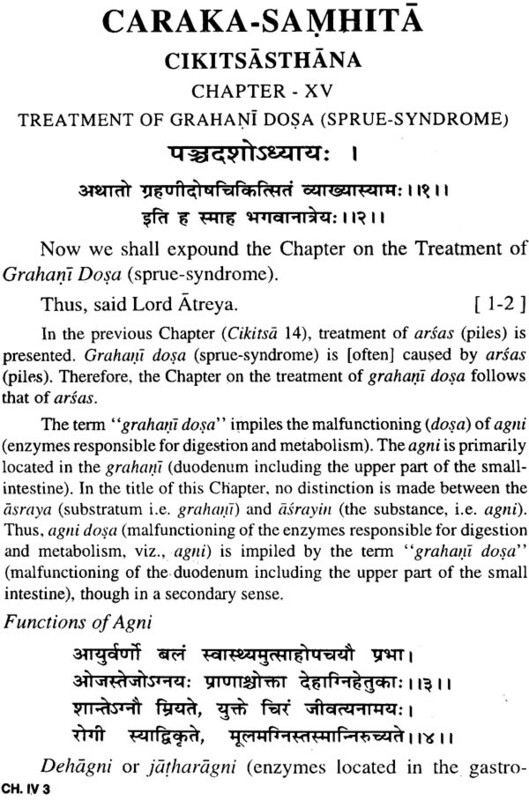 If it is dug into one would come across three distinct strate of authorship ascribed to Agnivesa, Caraka and Drdhabala in successive order. And Translation This immensely valuable text needed since long a faithful and simple translation into English communicating the ideas as they are without divulging into dogmatic details which make the situation terse particularly for a young scholar. 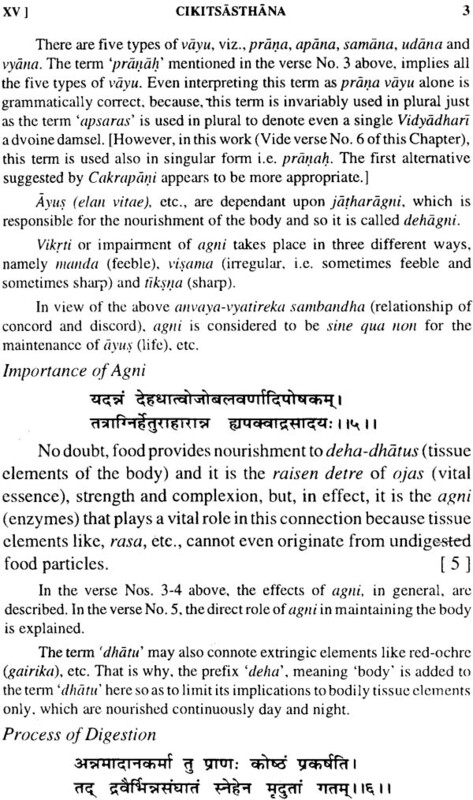 This comes from the pen of two erudite scholars of Ayurveda who has devoted the major part of the life in studying the text intensively from various angles and has command over both the languages concerned. 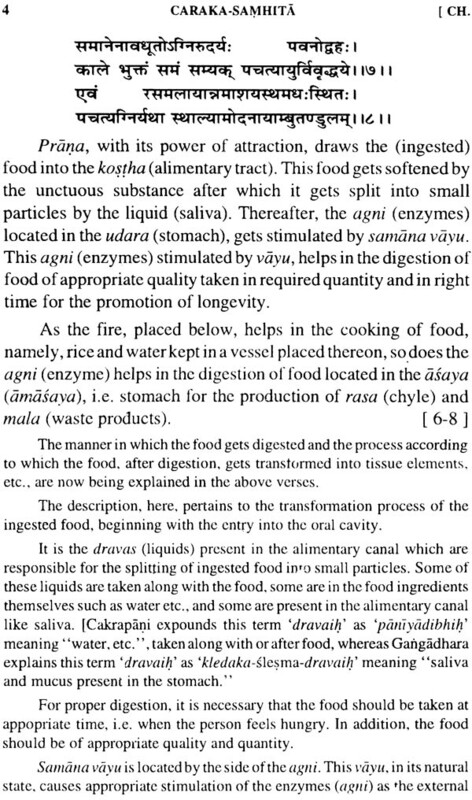 Thus the present work is a definite improvement in that its easy narrative style permits a Scholar not acquainted with Sanskrit syntax to grasp the various concepts of Ayurveda. 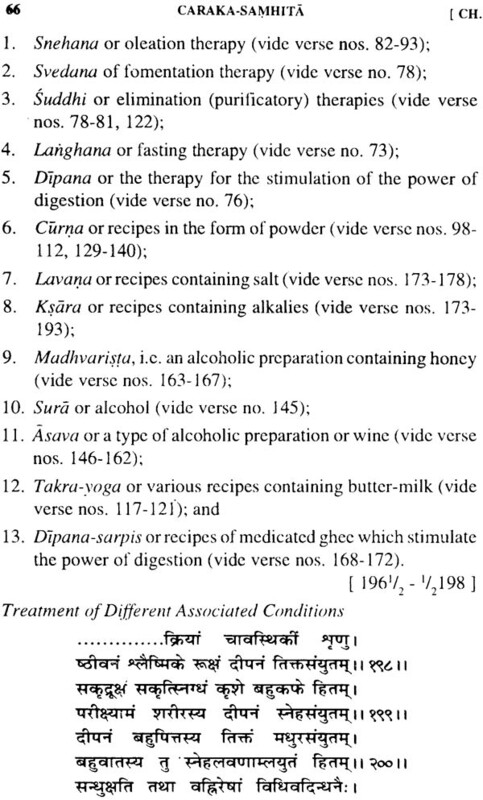 Moreover, the present translation represents the first attempt of its kind to express in English the Ayurveda Dipika commentary by Cakrapanidatta, which sheds light after light on the text. 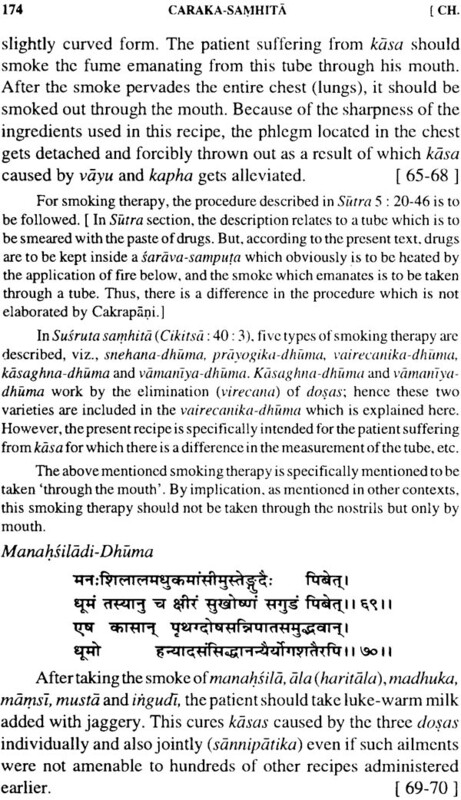 Alongside what can be termed official medical science, the search for new drugs, and all the activity connected with the discovery of nature's secrets there exists a vast body of knowledge which stretches back into the ancient realms of time. People without number throughout the world are fascinated by, and drawn to the world of alternative medicine which is receiving evermore recognition and appreciation in view of the use of the elements which our mother earth offers. 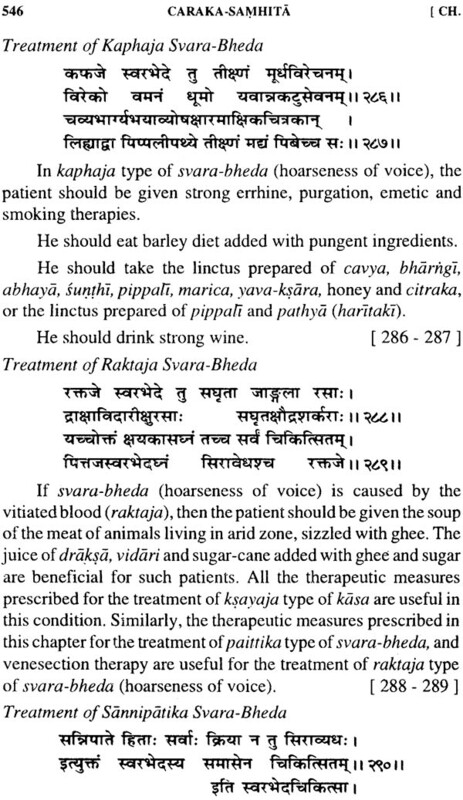 Vaidya Bhagwan Dash, former deputy adviser on Ayurveda to the Indian Ministry of Health, is a leading expert in a field which brings together ancient traditions and innovation in an attempt to meet the enormous needs of a country such as India. On the sound basis of his medical training and research, Dash has furthered his studies, and as a recognised authority in Ayurveda has taken his knowledge and caring beyond his country. He can look back on a long career in medicine and public service and among the many appointments he has held figures that of Director of the Yoga Research Institute in New Delhi. The Pie Manzu Centre intends recognizing the contribution which Vaidya Bhagwan Dash has made to the health and well-being of mankind by awarding him the medal of the Presidency of the Italian Senate. 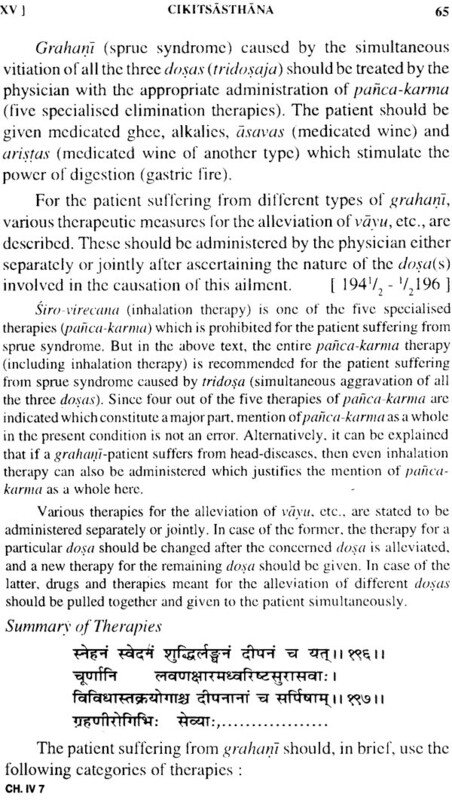 Dr. Ram Karan Sharma (born March 20, 1927 at Shivapuri, Saran, Bihar) was initiated to Vedic and allied studies (including Ayurveda) on traditional lines by Pandit Ambikadatta Sharma at Lokamanya Brahmacaryasrama, Muzaffarpur. As a full bright scholar, he worked with Prof. M. B. Emeneau at the University of California, Berkeley, U. S. A. College Muzaffarpur and Dr. Ishvara Datta (Patna College) affiliated to Patna University. He was founder Director, Rashtriya Sanskrit Sansthan; vice Chancellor, Sampurnanand and Sanskrit University and Kameshvara Singh Darbhanga Sanskrit University; Joint Educational Adviser, Govt. of India; Visiting of Bihar. Presently he is the President of International Association of Sanskrit Studies. 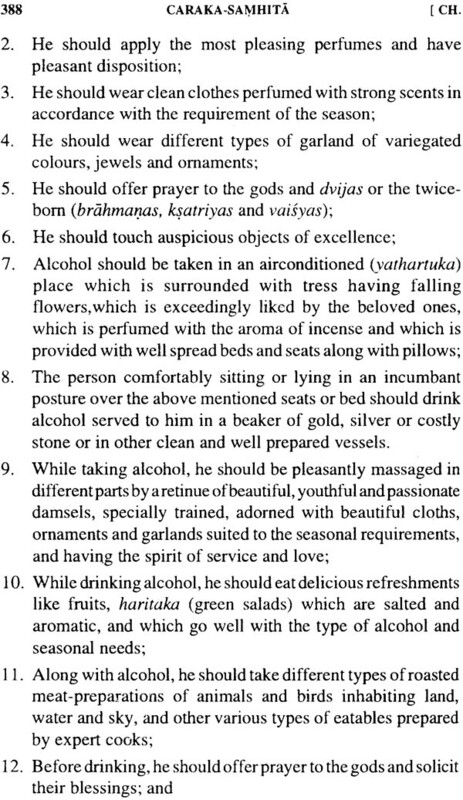 Areas of his special interest are: Panini, Mahabharata, Darsana, Kavya and Ayurveda. More than one hundred research papers and about a dozen major publications he has authored. His creative writings include Sandhya (Poetry), a recipient of Sahitya Akademi award and Sima (Novel) a recipient of Bharatiya Bhasha Parishad award. Vaidya Bhagwan Dash (born Oct. 1934 in Parbatipur, Orissa) has had an outstandingly brilliant academic career. In addition to graduate and postgraduate qualifications in Ayurveda, he holds a Master's degree in Sanskrit and a Doctorate from University of Delhi. 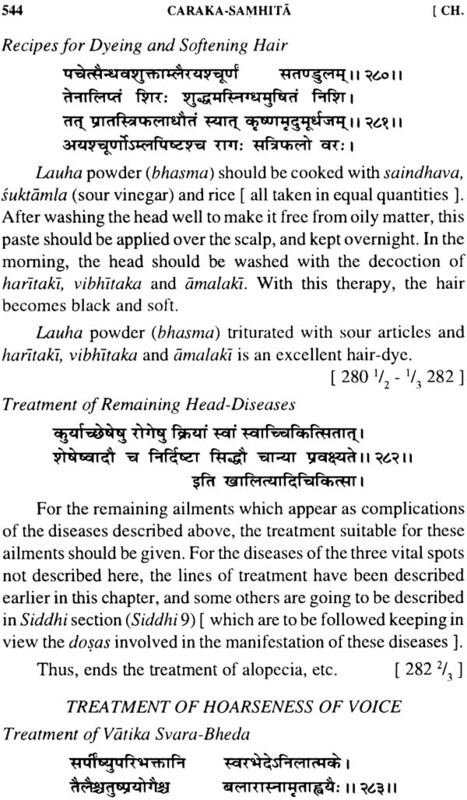 In the course of over forty years dedicated to research and practice of Ayurveda, Dr. Dash has attended several international conferences and seminars held in Brazil, Mexico, Italy and France. He was invited to deliver a course of lectures in Ayurveda at the Patrice Lumumba Friendship University, Moscow and the Australia School of Ayurveda at Adelaide, South Australia. 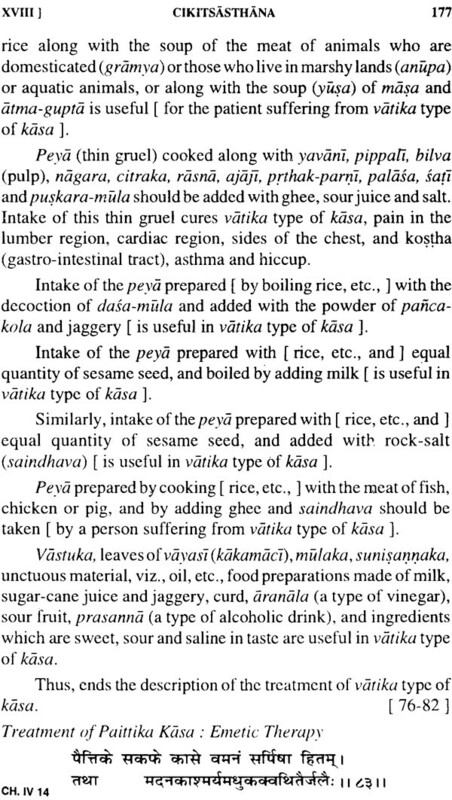 A Sanskrit scholar, he handles the English Language with equal felicity. 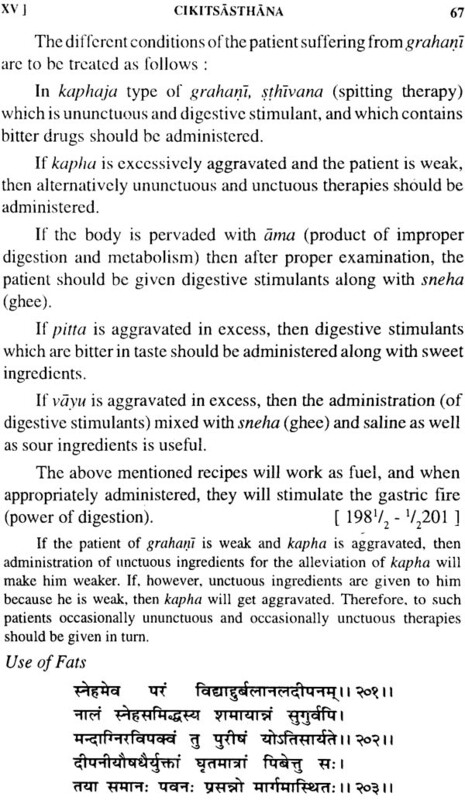 A significant advantage to his propensity for research in Ayurveda is Dr. 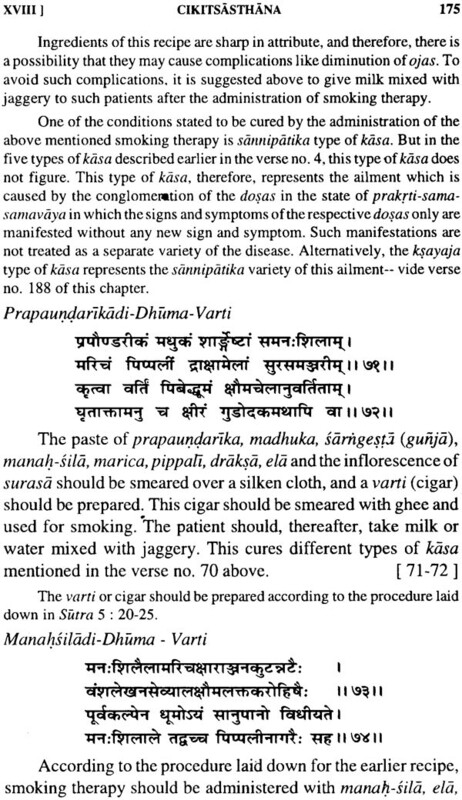 Dash's proficiency in Tibetan Medicine. Author of over sixty important publications covering different aspects of Ayurveda and Tibetan Medicine, he is recipient of several prestigious awards including a Gold Medal from the Presidency of Italian Senate for outstanding services he has made to the health and well-being of mankind. He was deputy Adviser in Adviser in Ayurveda to the Government of India in the Ministry of Health and F. W. till 1981, when he took voluntary retirement to enable him to devote more time for academic and research activities. As a Consultant in Traditional Medicine of the World Health Organisation, he had paid several visits to Bangladesh, Bhutan, Burma and Mongolia to study and advise on the Health Development Programmes of those countries.